Embedded World 2019 – The reliability of electronic systems, distributed intelligence, the internet of things and solutions for future themes such as e-mobility and energy efficiency are the main topics right at the top of the agenda for the embedded sector and industry. Around 1.000 exhibitors are presenting state-of-the-art technology in all facets of embedded technologies, from construction elements, modules and complete systems through to operating systems and software, hard and software tools right up to services covering all aspects of embedded systems. Click to know more about EnSilica Exhibition. Mobile World Congress 2019 – MWC Barcelona is the largest mobile event in the world, bringing together the latest innovations and leading-edge technology from more than 2,400 leading companies, with a highly-rated conference programme assembling today’s visionaries to explore the hottest topics influencing the industry. 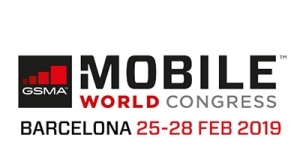 MWC Barcelona features extensive learning opportunities from dozens of partner-led programmes, GSMA seminars, summits and more. Click to know more about EnSilica Exhibition. We hope you’ll stop by to say hello. If you would like to reserve a time to meet our team at any event please contact us.